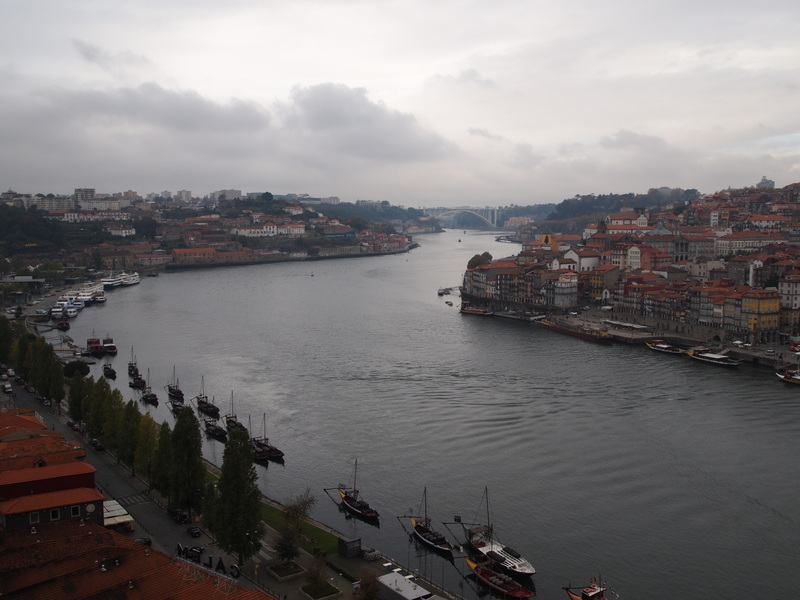 On our final day in Porto we woke up hoping for sun, but it was already raining when we stepped outside. Thankfully it only rained off and on in the morning and cleared up for good in the afternoon. 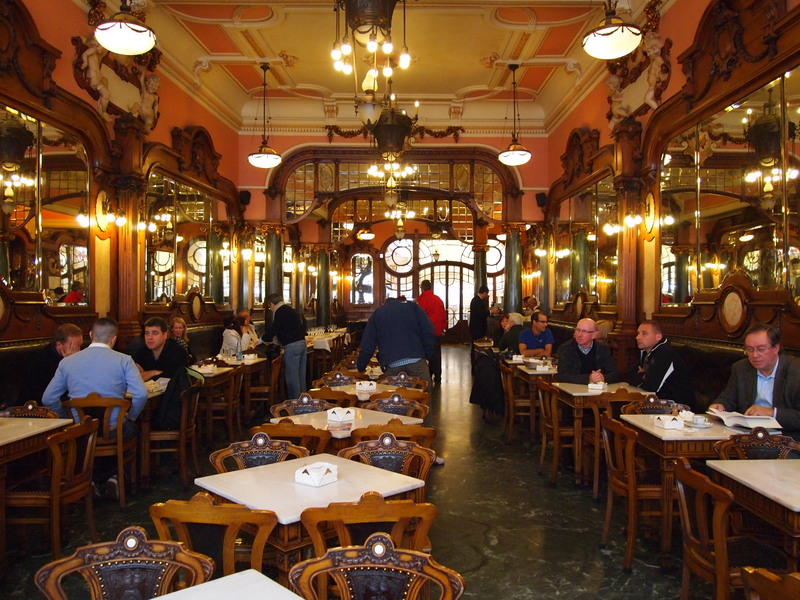 We headed down to the Majestic Café for breakfast on the main shopping boulevard, Rua Santa Caterina. 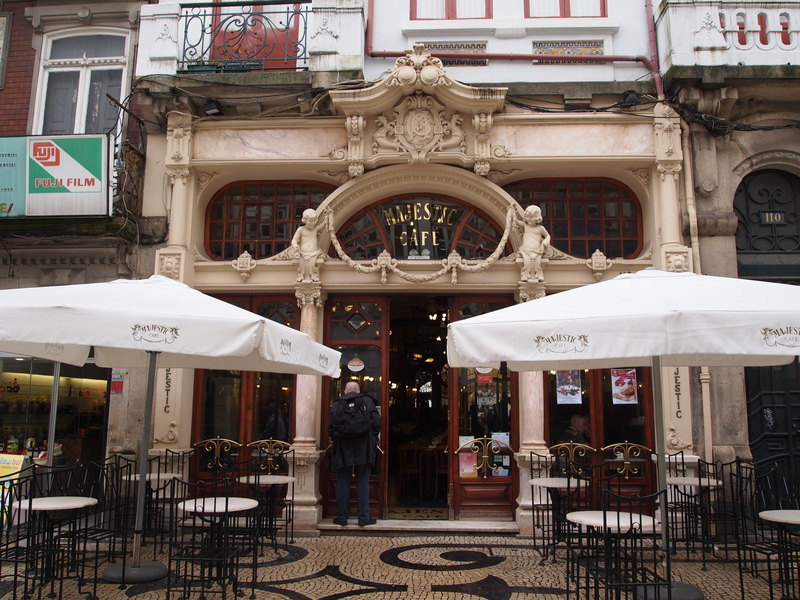 The café opened in 1921 and was one of the first Parisian-style cafes in Porto. 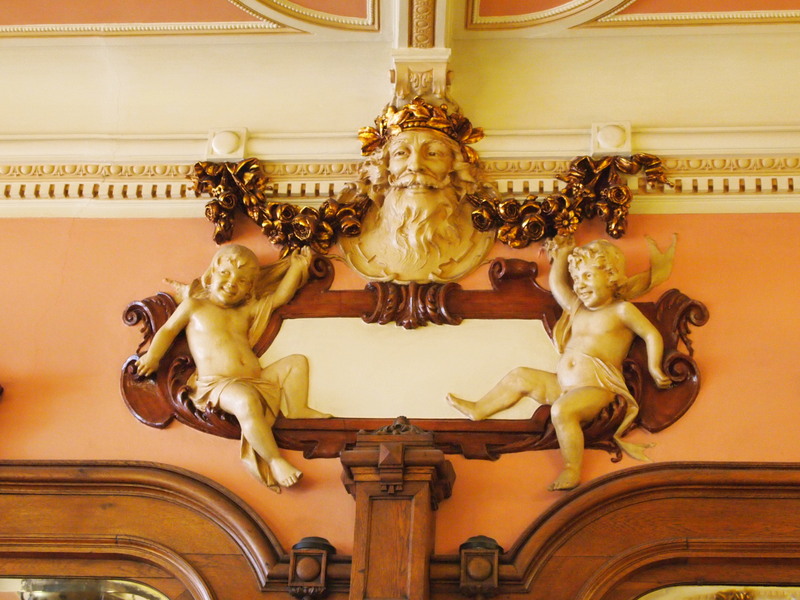 It’s gorgeous inside – my favorite detail is the smiling cherubs and gods. 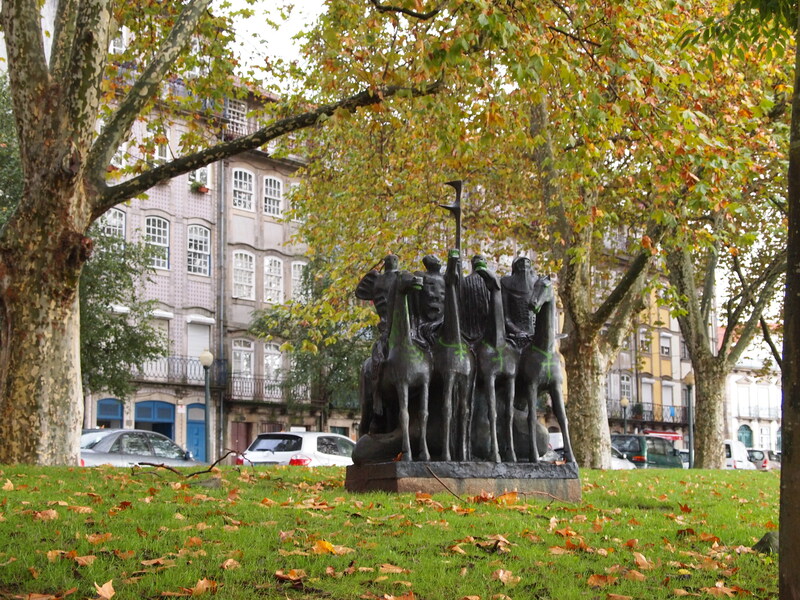 They looked so out of place since I’m so used to seeing such stoic statues with firm, resolute faces. 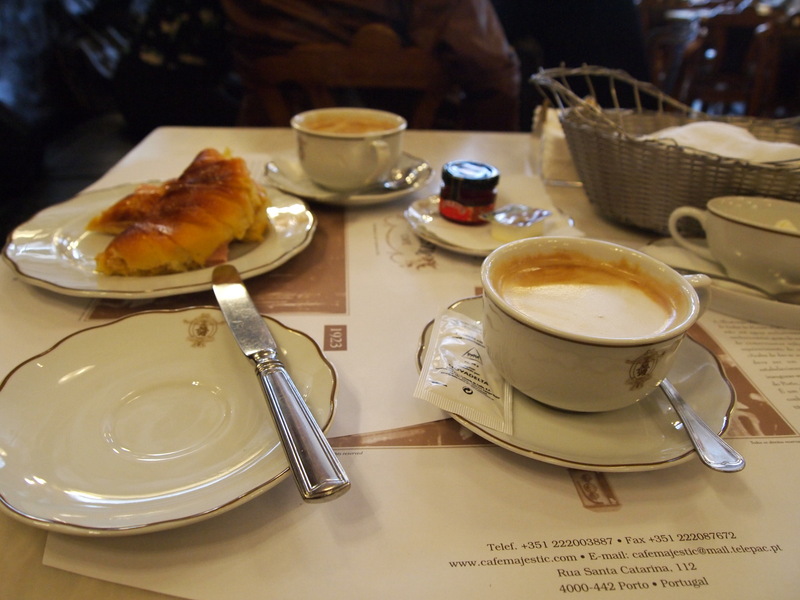 We ordered breakfast – scones and a ham and cheese croissant – and coffee. 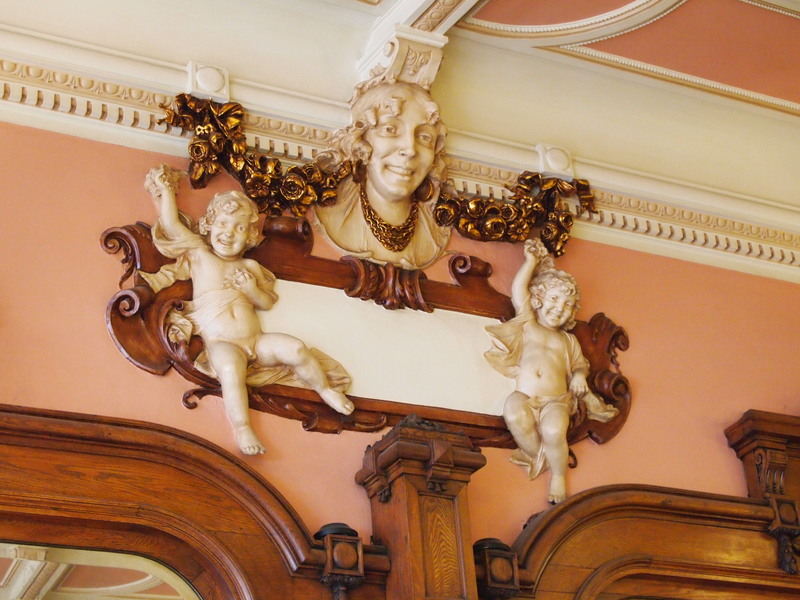 I felt like I needed to step up my manners while eating in the café, it still had such a formal atmosphere. 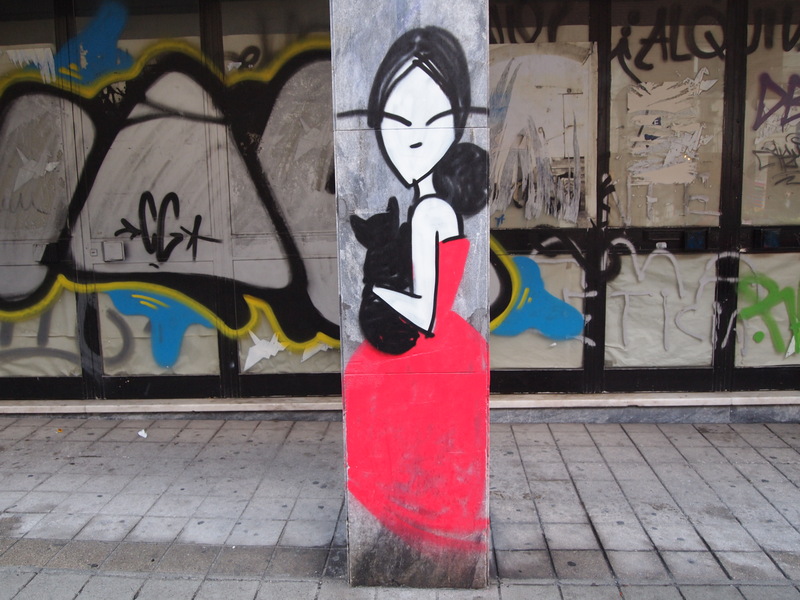 But obviously, I had to take photos, so that probably ruined my illusion of formality. 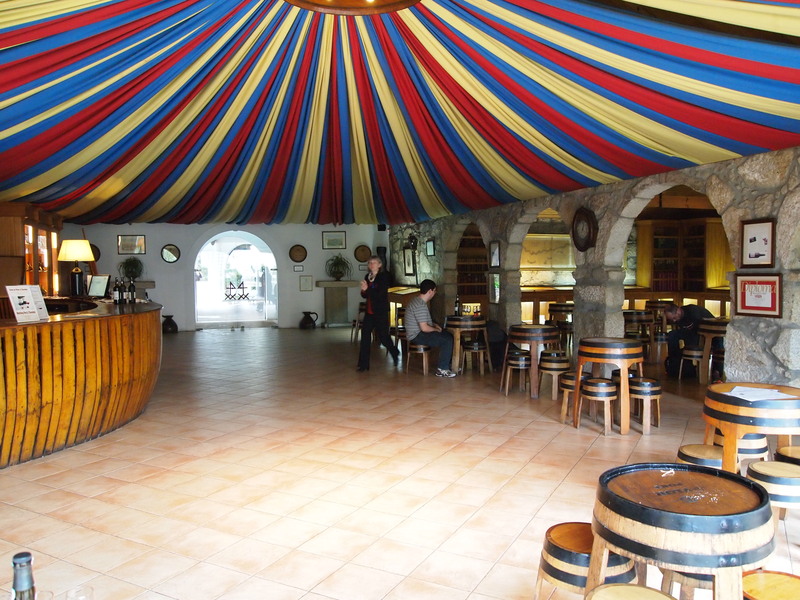 We left the café to cross back over the river to visit another port cellar. 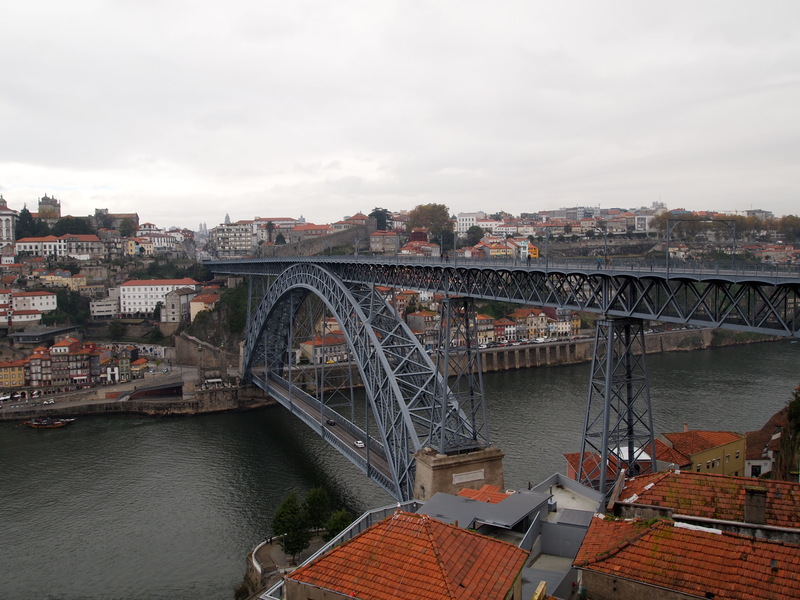 This time we took the higher section of the bridge (since it wasn’t raining) so that we could catch the fabulous view of Porto. 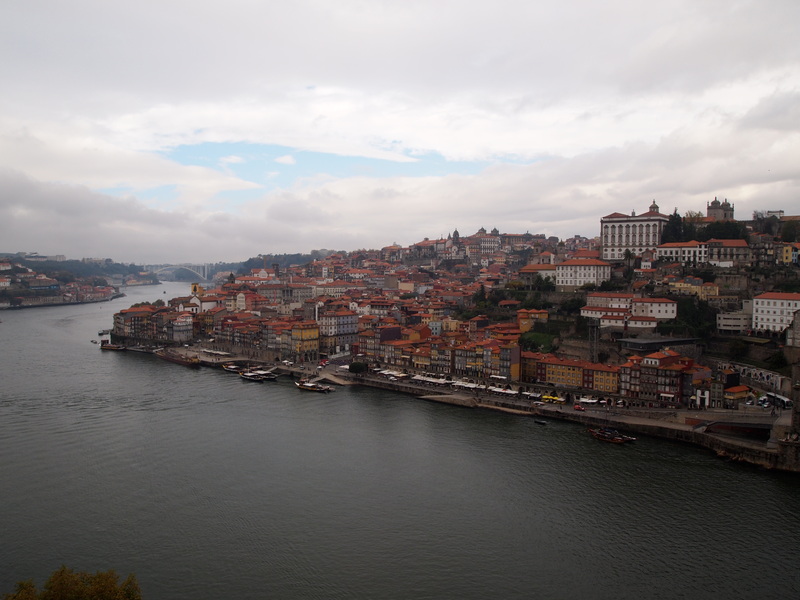 All of the port wine cellars (or caves) are on the opposite side of Porto in Vila Nova de Gaia. 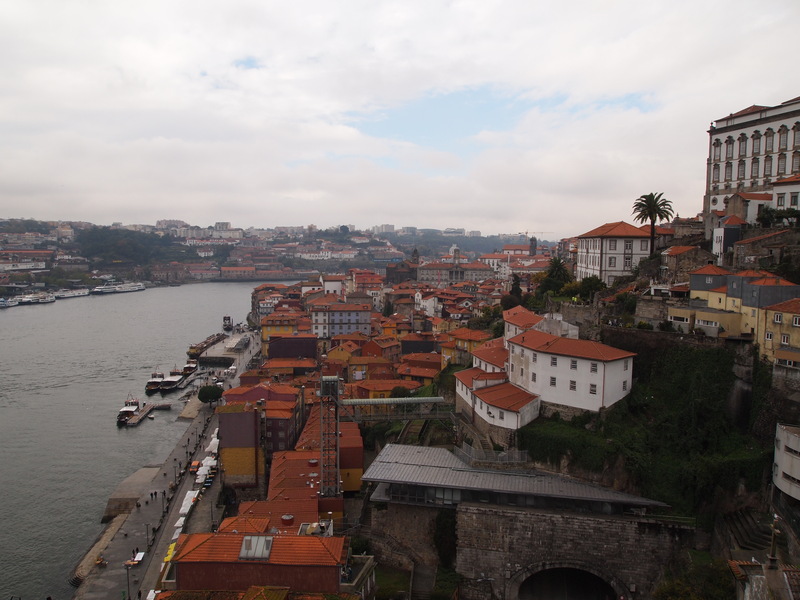 The more expensive tours and tastings are generally the first cellars tourists encounter on the riverfront, but if you walk up the steep, winding hills to the others, it tends to be cheaper. 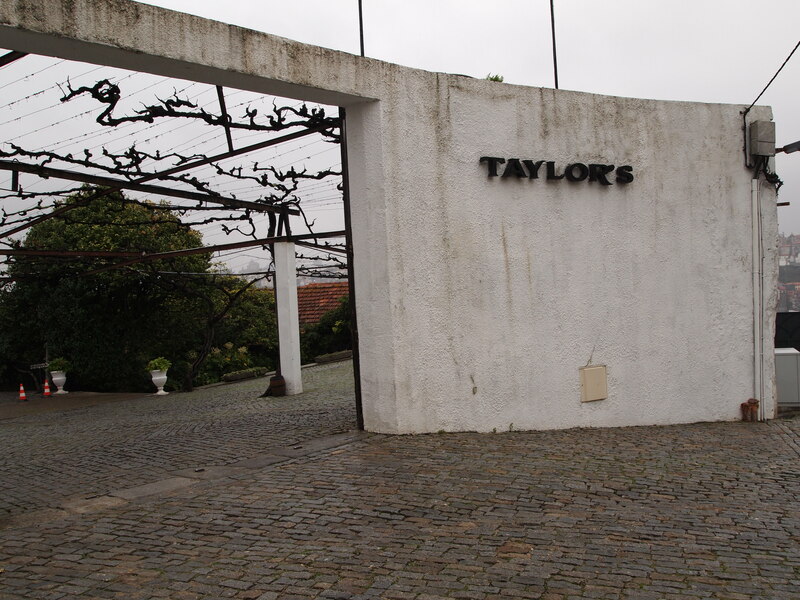 So as we had the previous afternoon, we chose a cellar that was up the hill a ways – Taylor’s. 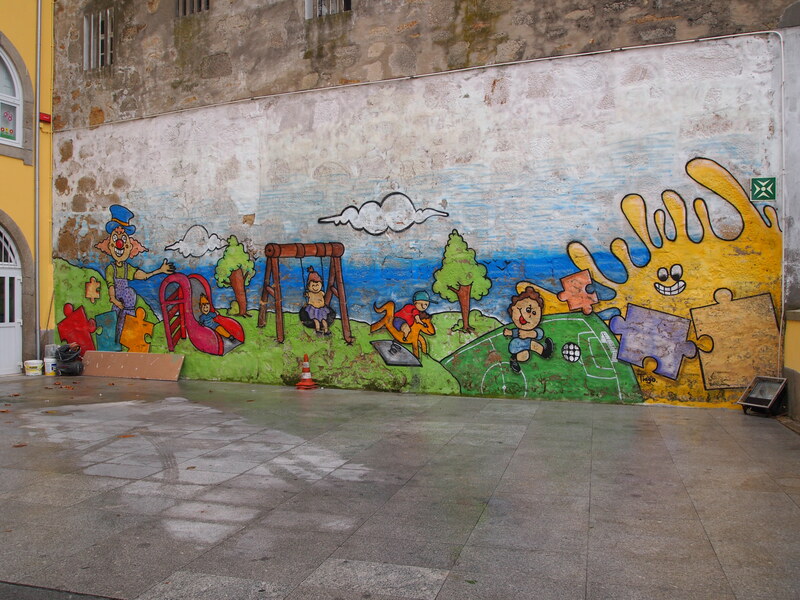 Since we had started at the top of the hill this time, we thought – it’ll be all downhill! 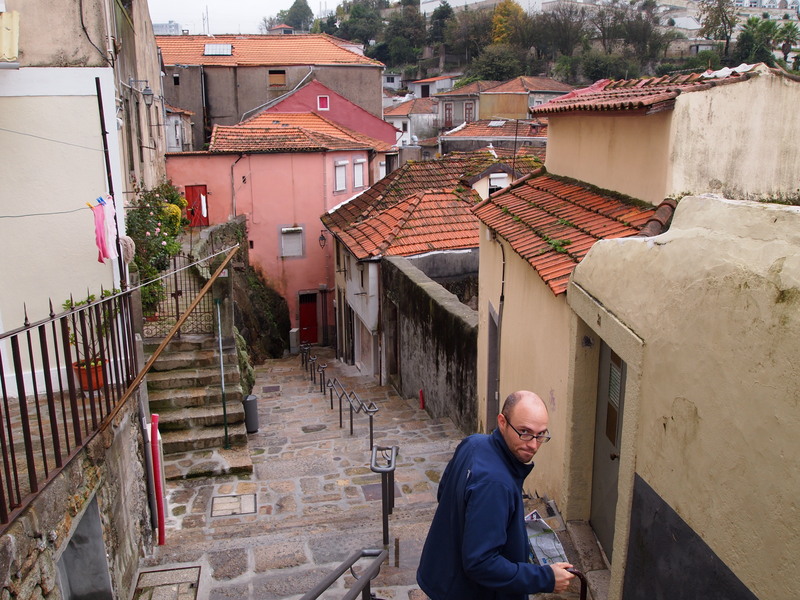 – but no, it was partially downhill and mostly uphill. It began raining while we were climbing and didn’t stop for a long time. So when we finally made it to Taylor’s we stayed a couple hours and just watched the rain while we drank port. 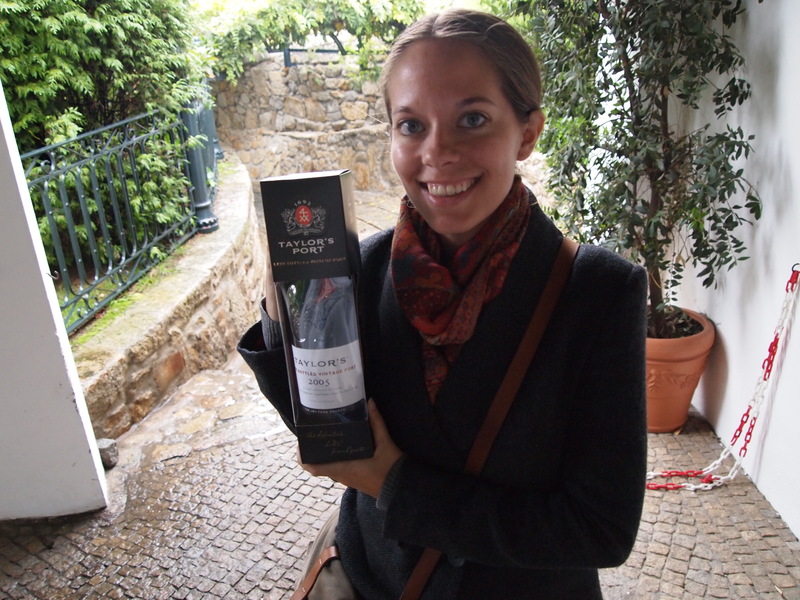 It was only 3 Euros for a tasting and tour (we skipped the tour for this one). 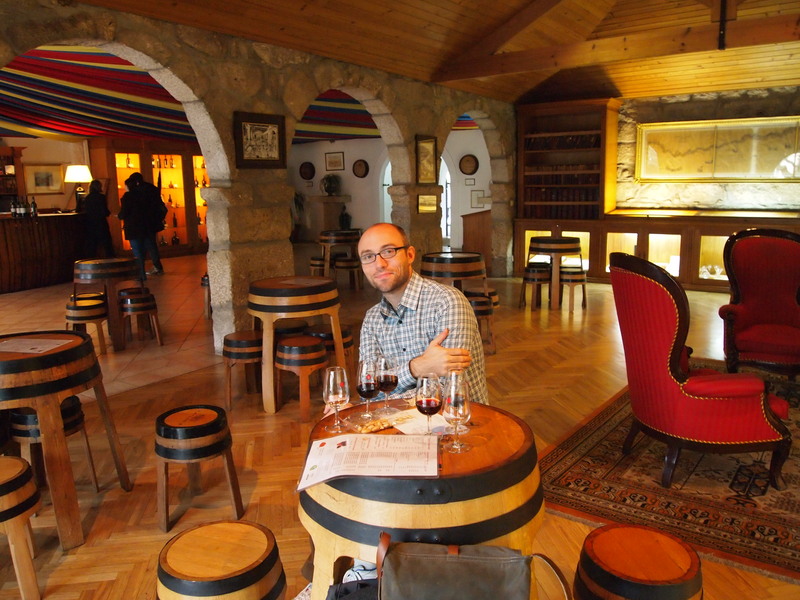 So we tasted 3 different ports – the chip dry (white), the LBV (limited bottle vintage) 2005, and a tawny red port. Zach and I each preferred different ones, so we bought an extra glass of our preference (quite cheap) and continued to watch the rain fall. 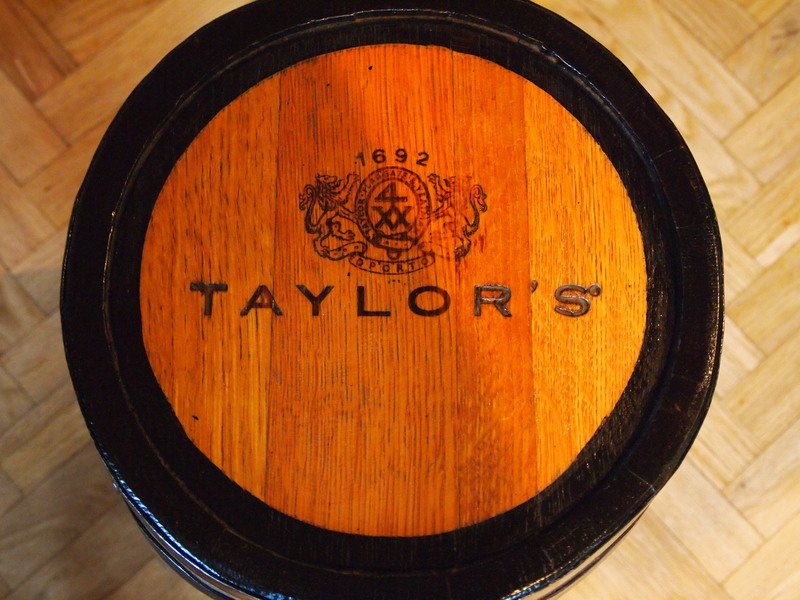 In the end, we bought two bottles from Taylors – the chip dry and the LBV 2005 (which wasn’t sold in the US!). 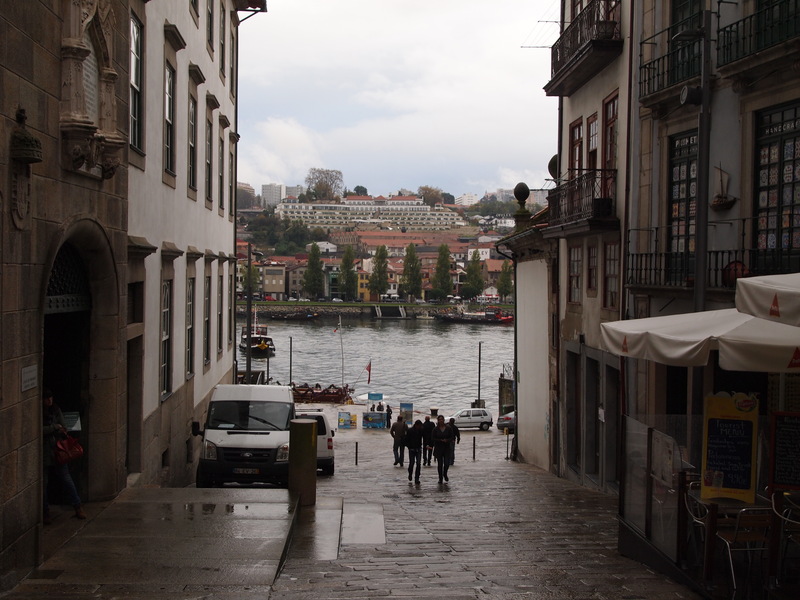 It was still raining so with our umbrella out, we carefully hiked back down the slippery cobblestones to the banks of the Douro. 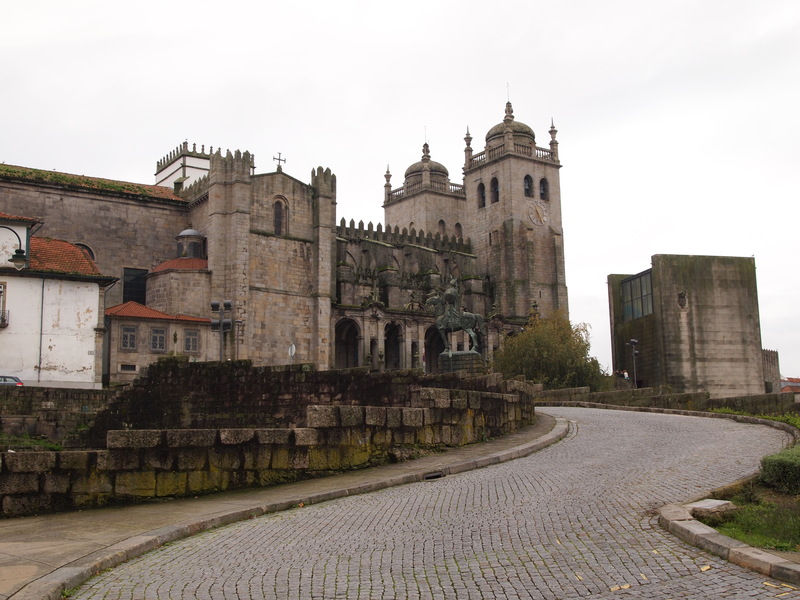 We wanted to check out a particular street which Gabriel (in Guimarães) had told us about so we walked across the bridge and back into Porto to hike our way to Rua Miguel Bombarda. 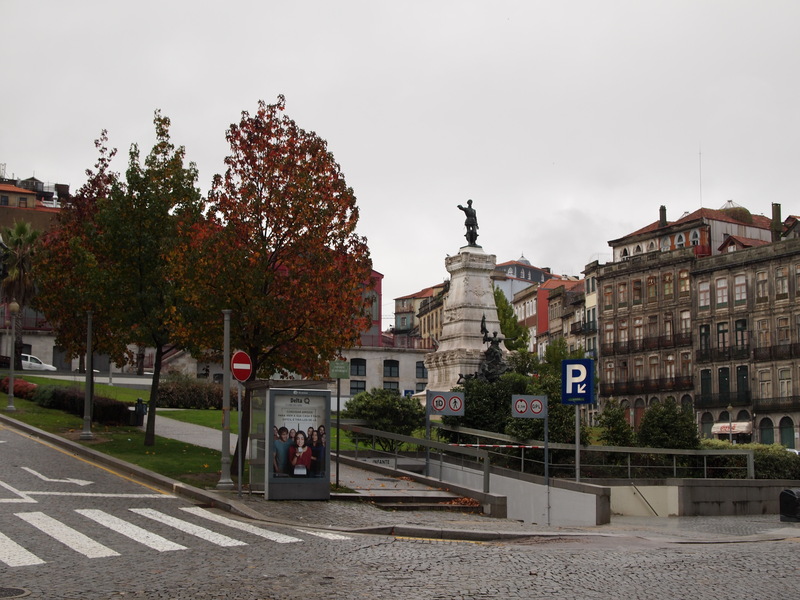 It was quite a hike and, of course, it started pouring again mid-way through our walk, but by the time we made it to Rua Miguel Bombarda, the rain had stopped for good. The last thing we were in search of was the Sovina beer that Gabriel had introduced us to and the brewery was in that same district. 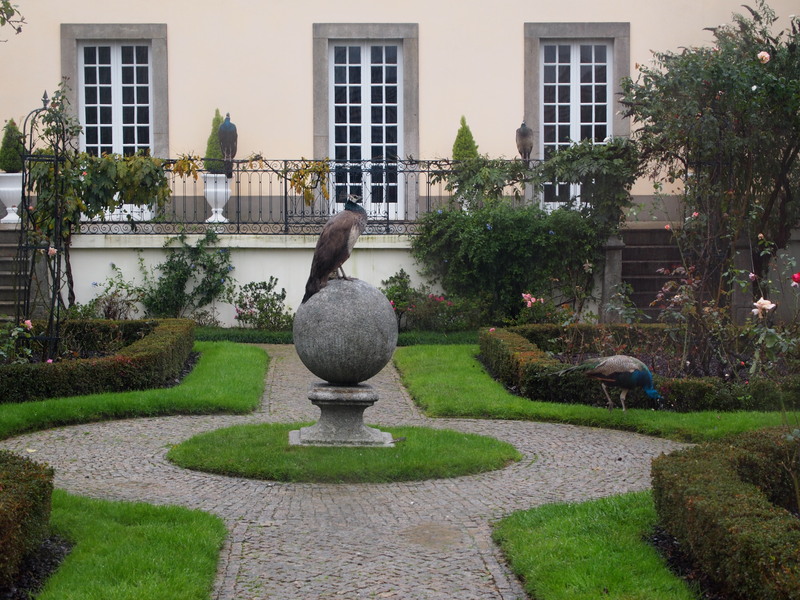 I had done some quick research and found one bar in Porto that actually served it as draft, so we hiked a little more up to that bar/restaurant, Casa Agricola. It was the right place, but they were out of Sovina. We were pretty disappointed. 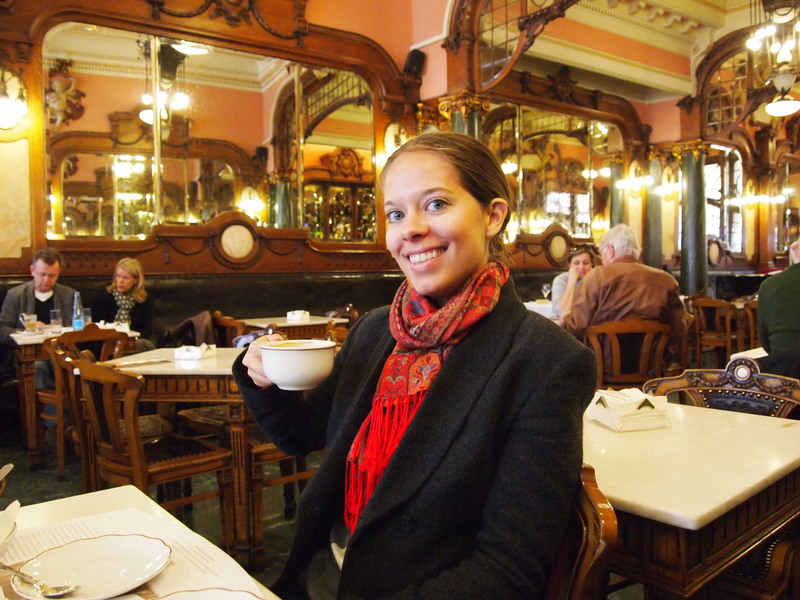 We stayed there anyway, had an Erdinger and some bruschetta, and then decided to catch the metro back to our apartment. We packed a little bit before heading back out to eat our final meal. 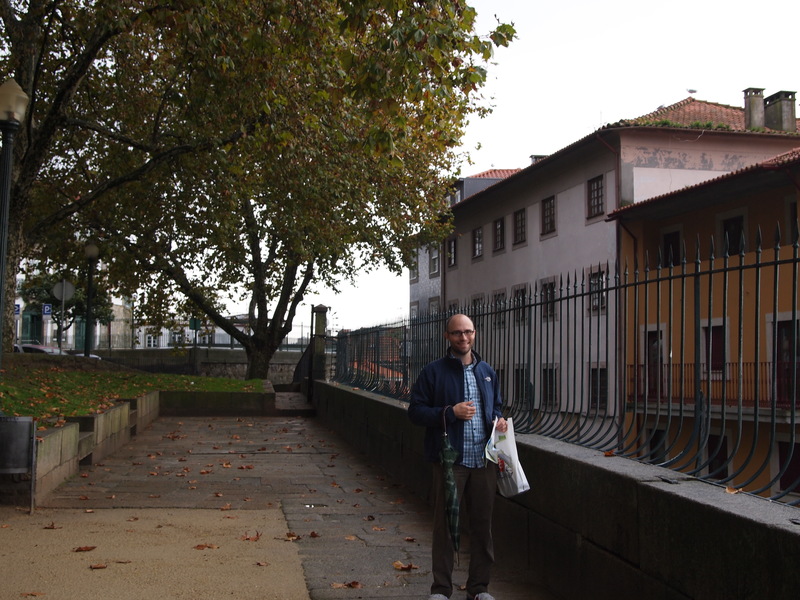 Porto has a local specialty that Zach really wanted to try and our host told us the name of a local café where that is their main dish. 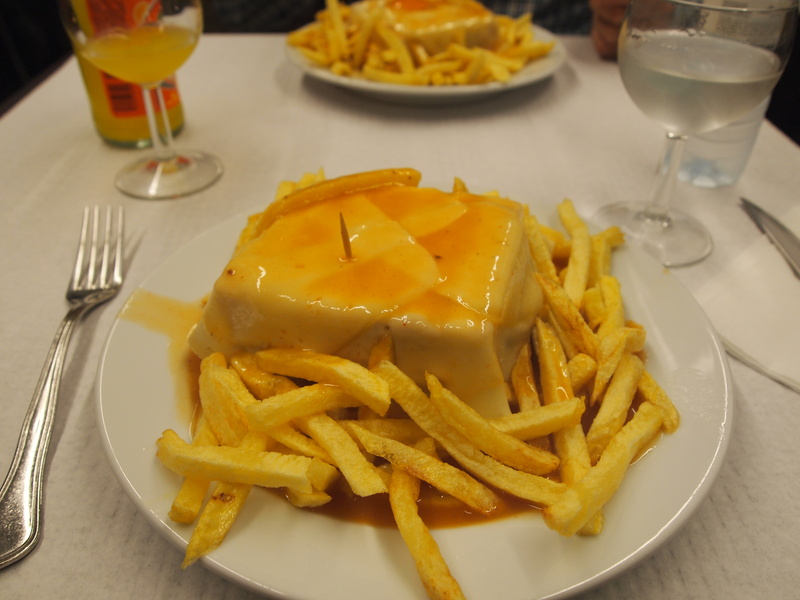 So we set off in search of Café Santiago and the famous local Francesinha. It was easy to find, and the place was packed! 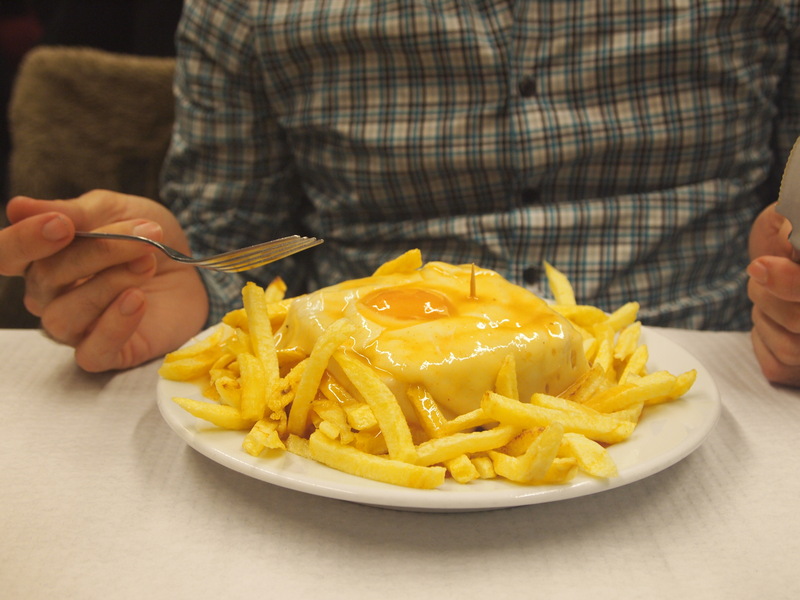 We found a small table for two and immediately noticed that everyone was eating the same thing – francesinha. There are a couple ways to order it, with or without an egg on top and with or without the sandwich smothered in sauce. Zach ordered his with an egg and we both had the sauce all over the top. It was pretty gross, I have to say. I barely ate half of mine while Zach pretty much finished his. 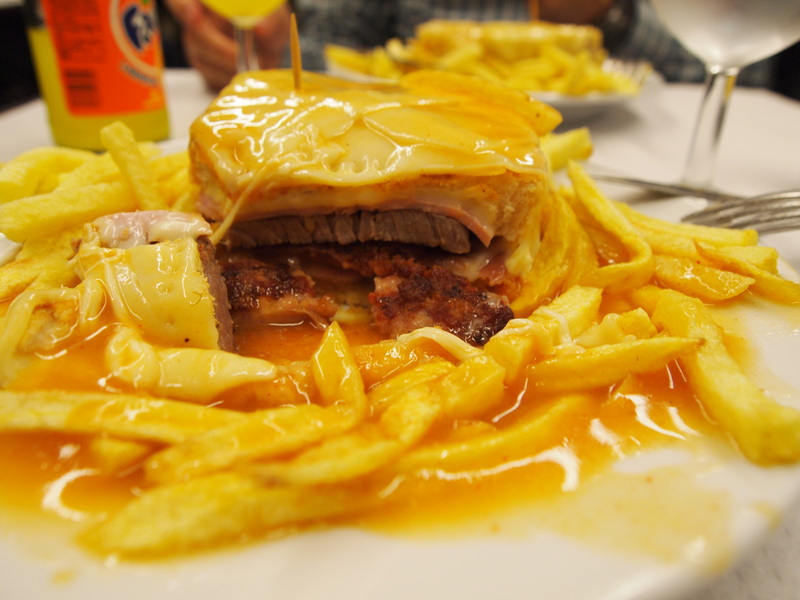 It’s basically a sandwich with 4 different types of meat inside and cheese melted all over the top, then it’s surrounded by French fries and everything is drenched with a tomato/beer sauce. Yeah, that’s really all I can say about that. 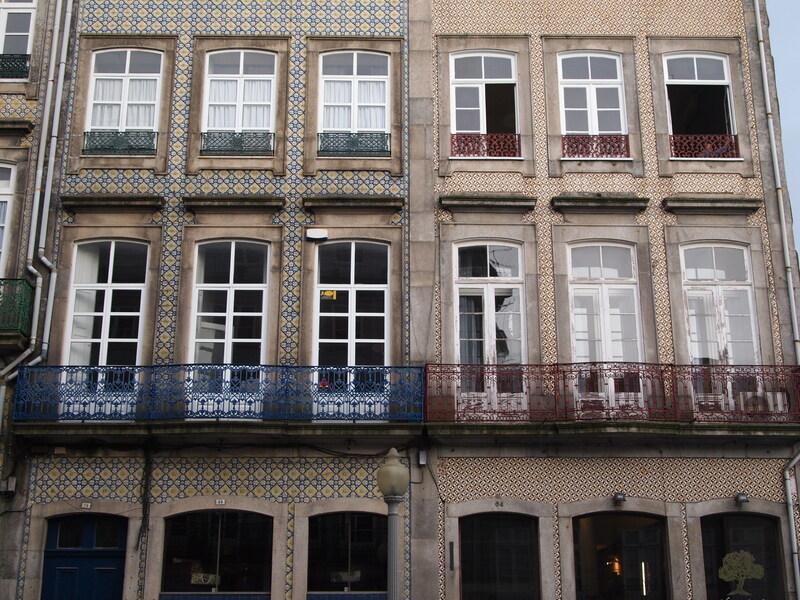 Try it if you’re in Porto, but maybe split it with someone.